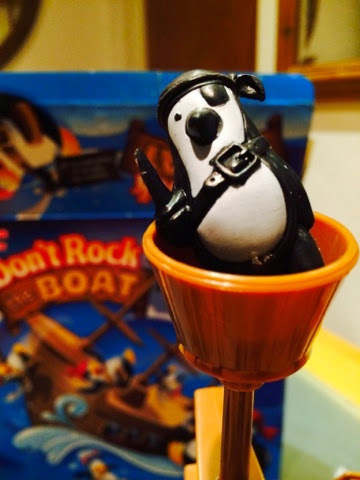 Emma in Bromley: Dont Rock The Boat - Pirate Penguins! 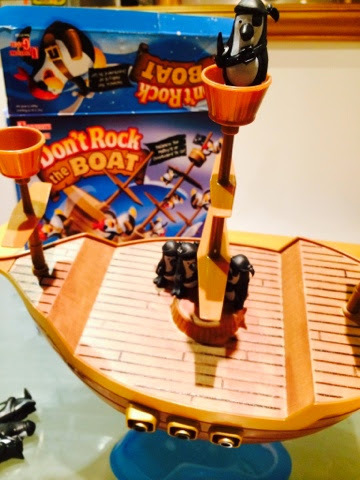 Dont Rock The Boat - Pirate Penguins! Next week will be half term and with the way the weather has been, I'm planning for a few indoor play days! 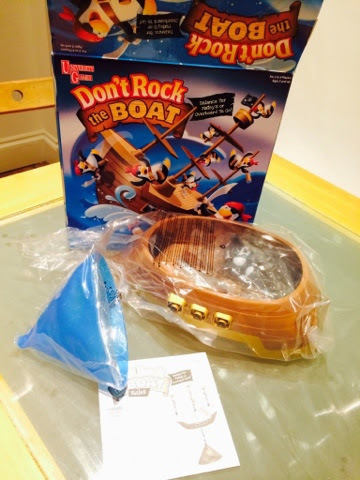 I received a wonderful game to play and review - Don't Rock The Boat by University Games. My five year old loves it because it's penguins - his favourite animal, pirate-y and absolutely loads of fun! It's a great "fine motor skill" game because it's all about balancing and small movements. 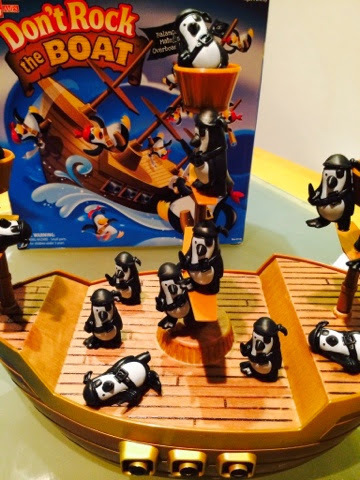 You take turns balancing the little penguin pirates on the pirate ship without making the boat tip! The game comes in a few pieces but only takes a few minutes to set up and after only a few goes, my five year old can set up the game himself. 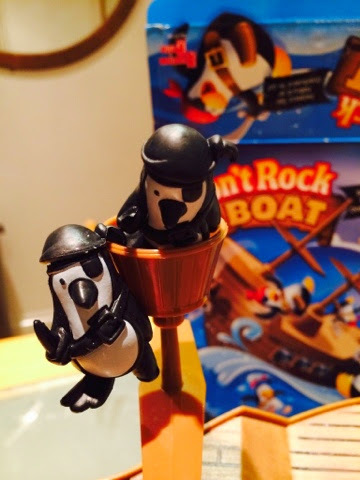 Starting with the youngest player - you each place one penguin on the boat. 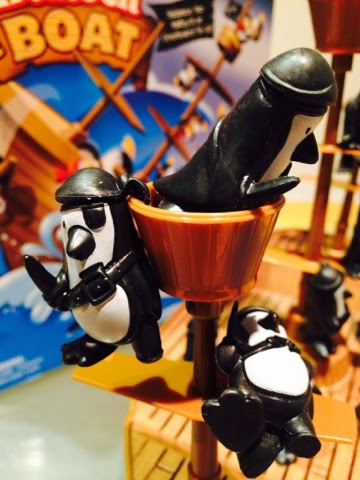 There's lots of fun little places you can balance your penguin such as in the crows nest or dangle him by his bandana knot! If the boat rocks and penguins fall down but remain on the boat, keep playing but if at least one penguin falls all the way off the pirate ship, then the game is over! 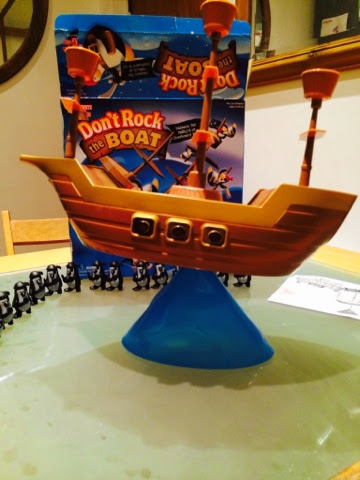 With a pirate ship and little penguins, it's really easy to come up with your own little games too - my youngest is three and couldn't quite manage the official game so we played a few variations so everyone could join in! ... We also used the little Penguins for working out our maths number sentences and making up little stories! All the contents fit back in the original box and - good thinking - on the game rules there is a photo to show you how all the bits fit back in the box - brilliant! - partly because the kids were so excited when we first got the game out that everything was out of the box before is had a chance to see how it all fit in! "Ahoy, mateys! Arrrrr ye ready to set sail on a rockin’ adventure with a crew of 16 pirate penguins? 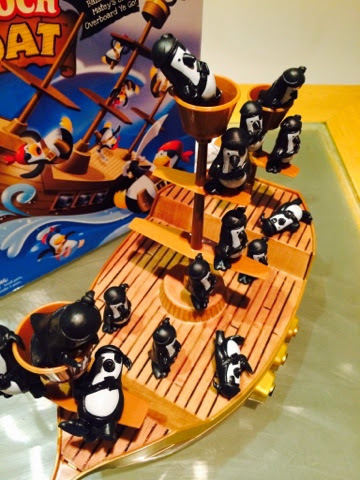 Take turns balancing the pirate penguins on the ship without making it tip! 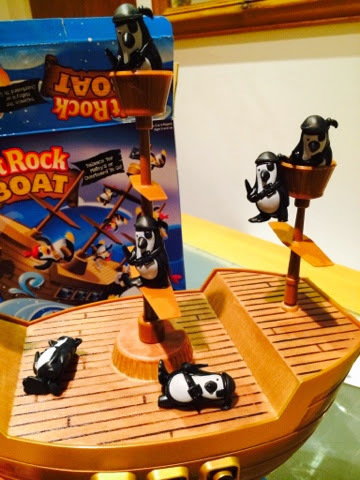 Be ever so careful, if you rock the boat and send the penguins overboard, ye might have to walk the plank! 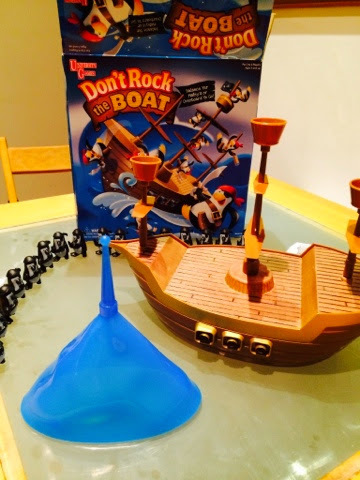 A fun balancing game for all buccaneers!"